Writing is so much fun, I highly recommend it! If writing is something you have always wanted to do then what are you waiting for? Pen your jet, paper your runway, fly! My current writing project: Novel, suspense: Our Descent. 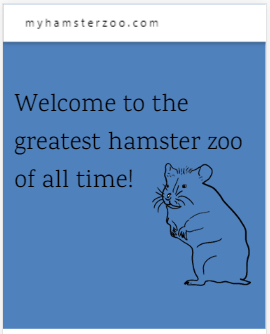 myhamsterzoo.com is a short and sweet educational site filled with adorable photos, videos and tips on how to care for precious little hamsters. 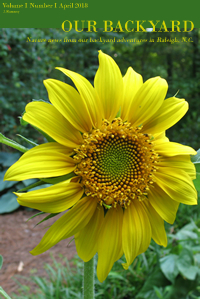 Our Backyard is a small nature newspaper covering all of the nature fun going on in our own backyard in Raleigh, North Carolina. Our Backyard is a monthly newspaper released the first business day of each month. 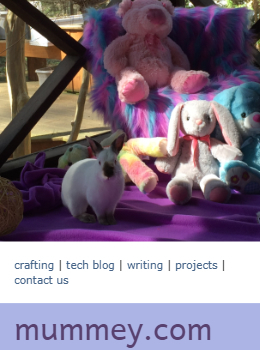 Enjoy an entire year of cute critters with bunnies, hamsters and kitties! 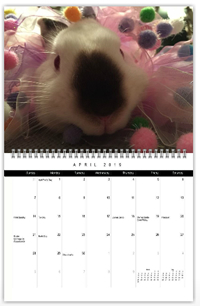 This 2019 wall calendar is a fun compilation of photos taken from the lives of Ginger Snap (hamster), Benjamin (rabbit), Sanford (older cat), and Cosmo (younger cat) in Raleigh, North Carolina. The holidays noted in this calendar are: U.K., U.S. and Mexico. 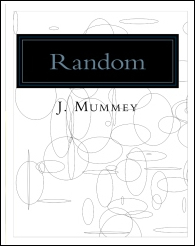 Random (released on 11/11/2016). This is a fun example of what you can do with computer programming. I wrote a simple application in the c# language to generate this interesting artwork. If you are interested in becoming a computer programmer, let this book be your first step. Click here to follow the instructions on how I created the application that generated these graphics. Dementia Untouched (released in 2015). Published by The Oddville Press. Click here to read it (Volume 2, Issue 4: page 5). Spooky Jenny Volume III (released on 9/30/2013). This volume covers everything from the humerous horrors of taco salad to scaring Grandma! It is a combination of true and spooky stories from Jenny's life, decorating tips, and fun events for Halloween. Spooky Jenny Volume II (released on 9/2/2012). This Volume is a combination of true and spooky stories from Jenny's life, decorating tips, and fun events for Halloween. Spooky Jenny Volume I (released on 10/1/2011). This volume is a combination of true and spooky stories from Jenny's life, decorating tips, and fun events for Halloween. I created "Moonwrite by Moonlight" events a few years ago for myself and fellow writers as a fun way to jumpstart writing in the fall. Since I don't have room to invite the world over, I'm posting this in the hopes that you will host your own "Moonwrite by Moonlight" for your circle of peeps in October (on the night of a full moon). A Moonwrite is an evening of wine, cheese, fruit, writing in the dark (outside, under spooky trees by candlelight or flashlight), and live readings at the 30 minute mark of every hour for anyone interested in sharing their work. Supplies attendees need to bring: pad and pen/pencil, flashlight, beach towel or lawn chair.